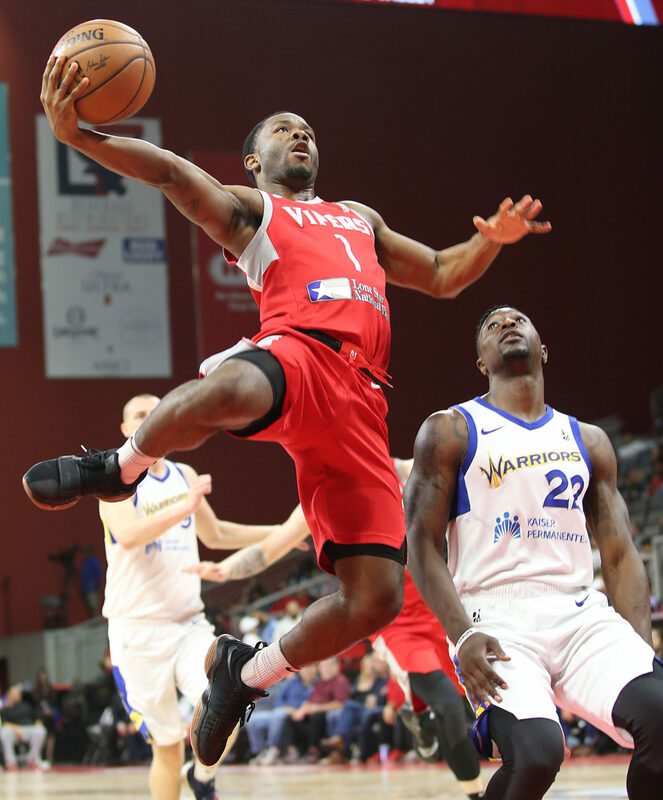 EDINBURG — There have been games near the end of the season where the RGV Vipers came out like an icicle and heated up like a blowtorch, their potent offense able to overcome most deficits. While they won several of those cold-as-ice starts, it’s not something that Vipers first-year coach Joseph Blair has scripted. The first part — the ice storm — of that scenario happened again Sunday night as poor shooting, combined with a hot start by Long Island, led the Nets to a 117-107 victory in Game 1 of the NBA G League Finals and a 1-0 advantage in the best-of-3 series. Sure, the Vipers made their frenzy like comeback attempt, turning a 22-point deficit down to three points at 63-60. But that run couldn’t be sustained and the Nets — the highest-scoring offense in the league during the regular season — went on their own run to put the game away. On Sunday, the Nets had the biggest runs. The 10-point final score was not indicative of how one-sided the game was. The Vipers team that burned the nets against Memphis and Santa Cruz in the first two rounds of the playoffs will need to make an appearance tonight if they are to push the series to a deciding Game 3. Tip off is today at 7 p.m. at their home confines of Bert Ogden Arena. RGV scored a season-high 144 points against the Santa Cruz Warriors to advance to the finals. In that contest, they converted on 22 of 49 3-pointers for an eye-whopping 44.9%. Dakarai Tucker and Michael Frazier each hit six shots from beyond the arc, and overall eight players knocked down a long-distance shot. Tucker and Frazier were a combined 1 for 10 on Sunday and 7-foot center Isaiah Hartenstein took as many 3-pointers as those two combined, dropping 3 of 10. It seemed as if the Nets were content with keeping Hartenstein, who average 19.5 points and 14.7 rebounds per game, on the outside taking the long-range shots but making sure players like Tucker, Frazier and Vincent Edwards (0 for 0 from 3-point land) from beating them beyond that arc. Jordan Johnson (23) and Diamond Stone (17), two players from the bench, combined for 40 points while Gary Payton II (21) and Hartenstein (17) could only muster 38 points between them.